I have been trying some of these masks for quite some time now thanks to Tracey McAlpine who first put one in a beauty bundle I bought from her! There is a whole website dedicated to these wonderful masks and they are so amazingly good. 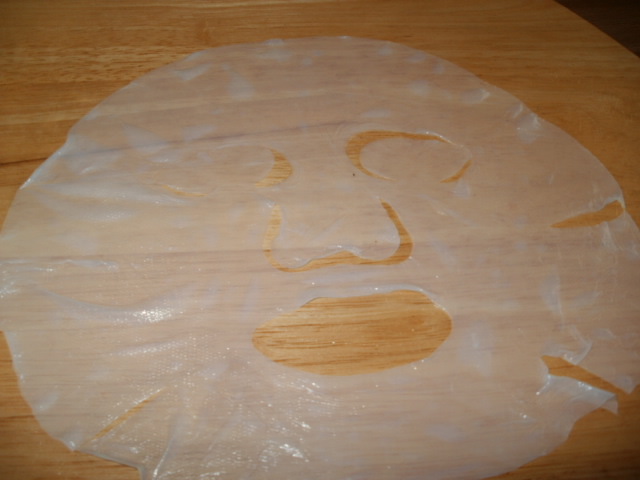 The mask I want to tell you about today is one of their luxury face masks. It is a Bio Cellulose Nanoscopic Fiber Cloth which fits really well onto your face allowing deeper penetration of the serum to maximise effect. 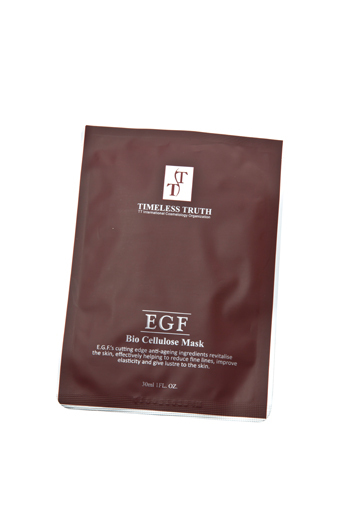 This mask is specifically for the more mature skin, it has an ingredient called EGF serum (think the expensive Bio Effect) which is highly praised for its ability to repair and allow new cell growth, reduce fine lines, wrinkles, improve skin texture and plump the skin making it look visibly younger and healthier. It is also packed with Hyaluronic acid which holds up to 100 times its own weight in moisture so it really delivers a powerful punch of goodness to the skin. To use you peel off one side of the protective covering and apply the mask to your face smoothing it on as you go and when you have that done you then remove the second layer and that’s the mask firmly on your face, any extra juice dripping off, massage it down into my neck and decollete so i don’t waste and of the precious elixir. 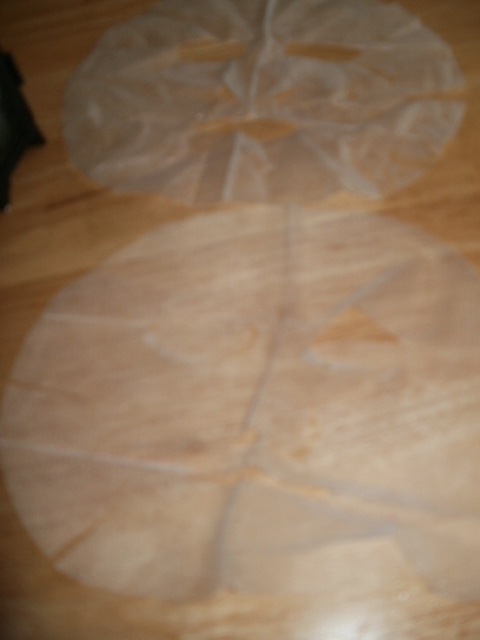 The pictures below are not fabulous but what the mask does however is, i just wanted to show the 2 peel off material layers and the actual mask itself to give you a good idea of how it is and what to do .. When I took the mask off I let my skin dry and then applied my night cream on top to seal everything in and really let the goodness of this mask work in my face overnight! If you’re in a rush and going out the results are pretty instant, you can put your makeup on pretty much as soon as it has dried in. After using this my skin looked and felt amazing! It was plumped, skin tone was improved and it was a lot more youthful in general, peachy soft and it glowed. Perfect for a once a week much-needed weekend skin boost and for big nights out with your girlfriends when you know there is going to be pictures taken and you want to shine! This mask is such an amazing boost anytime, designed for mature skin and skin damage it has worked wonders on mine and left it so plumped, with very visibly improved, silky soft skin tone! In finding this mask I have now discovered a whole website dedicated to Masks!! there is also some under eye masks, masks for all skins including oily or acne prone too. There is a choice of Fusion Masks and Luxury Masks, masks for every skin type… some under eye masks, oily or acne prone skin so it really is worth taking a look! Now I have this website I do not want to lose it and it’s safely bookmarked because it is a real hidden gem for me, as I get older i need skin boosting masks like this more and more.. you can have a look and find out a lot more about these masks here Timeless Truth Face Masks and you can also say ‘hi’ to the very lovely Angela who runs the company on twitter https://twitter.com/TTBeautyMasks who will be more than happy to help you! Have you tried TT masks yet? 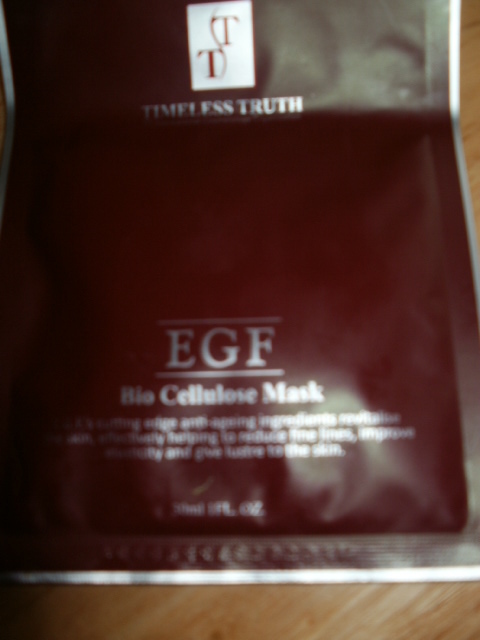 This entry was posted in Beauty, Health and Beauty and tagged Aids the production of Collagen., Angela Barbagelata, Anti Aging, Bio Cellulose Nanoscopic Fibre Cloth, Bio-Cellulose EGF Revitalising Mask, Brightening, EGF, Glowing Skin, Improved Skin Tone, Keep Elasticity and Clarity, Moisturising, Plumping, Pure Beauty, Reduce Fine Lines, Skin Boosting, Skin Brightening, Timeless Truth Beauty Masks on November 27, 2014 by the40somethingbeautyblogger. I’ve not heard of these masks before, but ohh… they look different then the cream/mud ones I use occasionally! I am seriously looking into masks at the moment so glad to find this – never tried but happy to.